My “Breakfast Buddy” Ed wrote me an email some time back. I shared my thoughts about my breakfast buddy some time ago if you recall; He’s the fellow that was my bike guru of sorts when I lived in Southern California. I miss our chats together when I used to work at a corporate fitness gym where he was a member. Now I am living in “middle earth” Alabama; I am not working outside the home and am still struggling with finding a measure of contentment here in “middle earth-land” even now that a year has passed since our move. Anyhow, my breakfast buddy seems to be recovering very well (thank God) from a traumatic brain injury that he incurred while road cycling just over a year ago. His email of today shows that he is enjoying vacation time with his family in Hawaii and I couldn’t be happier for all of them. Which got me to thinking about that email he sent me about a month ago. In it he asked if I was enjoying the duck guys because after all I was living almost smack dab in the middle of “Duck Dynasty” country. More specifically, he suggested I consider duck hunting as a hobby since I’m feeling a bit out of sorts (to put it mildly) since moving from the sun and sand of Southern California to insect and snake infested redneck country. I’ll confess, I think I am pretty well-informed. I read the paper (OK, the Wall Street Journal, not my local Alabama newspaper). I’m also a television watcher, and, I love my streaming Netflix come evening time, almost to a fault I think, especially since hubby is away on business travel so often. Still, I had not one clue as to what my breakfast buddy was talking about. He said this reality-based show was a huge hit on cable TV and was pretty hysterical and he added that his wife really loved it. Hmm. I’m not one for reality shows. In fact, I don’t watch any of them. I don’t know much about my breakfast buddy’s wife except that she is a good mom, quite intelligent, and has a job high up the corporate ladder (a CFO, I believe) so I’ll admit to being very curious as to why she would want to watch a reality show about duck hunters. I decided to look up said show and quickly decided on a Bing search on my MAC. Lord have mercy…. Lots of hits! For heavens sake, I think to myself. Where have I been? 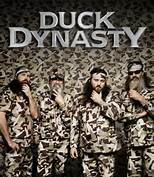 I haven’t heard a thing about this hit show that features a bunch of mighty scruffy-looking (save for their beautiful, Hollywood-looking wives) bayou men-folk (two brothers and three sons) from Monroe, Louisiana doing regular bayou types of activities like frog catching, fishing, duck hunting, and running a duck call fabricating business. I click on an episode and sit back to view it. This particular episode features the patriarch of the duck dynasty family–an exceedingly long-bearded fellow who reportedly long ago turned down the chance to play in the NFL because he didn’t want to miss duck season — reluctantly contacting a real estate agent for the purpose of finding a new house. After living in their current house for many years there is a push from the wife (and the real estate agent naturally) to find a house that suits their new station in life. That would be rich. And the source of their wealth you might ask? Well crafting a great duck call of course. Who knew making duck calls could be so lucrative? I think of my PhD. physicist hubby who is in the missile defense business; me thinks he might want to try something new! Of course, he might have to grow a very long beard (now that is a very unpleasant image) ….but I suppose I could be won over in a New York minute if the money was right. Anyhow, quirky patriarch Phil Robertson created the award winning Duck Commander duck call in 1972 and the rest is history, apparently. The same episode also features the brothers and sons of the family–equally scruffy and definitely not follicularly challenged in any way. 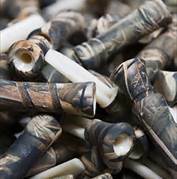 The men are bent on doing something really big to mark an anniversary for their lucrative duck call business….that would be creating the largest duck call in the world. I watched the entire episode and I can attest it was mighty funny….but still, this show is taking the nation by storm? I suppose it’s better than that atrocious Honey Boo Boo that I have heard about! Having said that, I can say this duck business really isn’t a program I want to get wrapped up in. After all, watching it reminds me (as if I need reminding) precisely why I wasn’t keen on moving to “middle-earth” Alabama in the first place! Later, I tell my husband about the show and that he ought to watch an episode. He hadn’t heard about it either. I’m sort of relieved that it wasn’t just me but in my husband’s defense, he hasn’t been home enough to learn much about what his “sweet home” state has to offer. The following day hubby and I are out and about doing errands. First, we are at the local grocery store. I see not one, but five men with very prominent bellies sporting Duck Dynasty attire. No doubt these guys have been in this grocery store often in the course of the last several months yet this is the first time I’ve noticed anyone wearing these T-shirts. An hour later we are at the Costco in town. Yep. You guessed it. Duck Dynasty paraphernalia was literally everywhere one looked. Indeed, there was no escaping it. Books, CD’s, magazines, apparel, and men (and women) wearing Duck Dynasty shirts and various types of related head-gear, from hats to bandanas. Even the Sunday paper that hubby picked up featured a full-page spread on the hit show. Trust me when I say that I am NOT going to get caught up in this show. No siree Bob. Give me Mozart or Vivaldi to listen to in the evening….and a good book, a glass of wine…and yes, a Netflix movie….but not a reality show about a quacky duck call business. And, if I were forced to watch a reality show– as in a prison sentence–I’ll pick the Dirty Jobs show on the Discovery channel (Mike Rowe IS pleasing to the eye!) 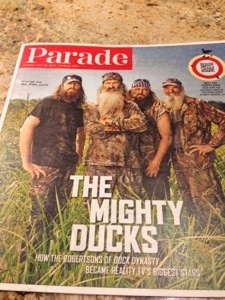 or God forbid those Housewives of New Jersey over the makers of the Duck Commander duck call….no offense Phil.